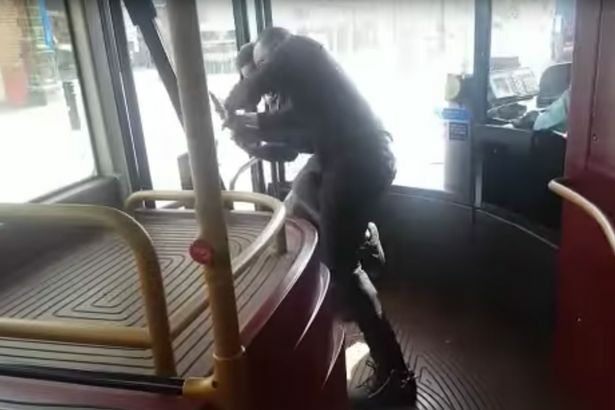 This is the terrifying moment a hero passenger wrestled a large blade from a man on a London bus in broad daylight. The video shows the brave man disarming the knife-wielding commuter at the front of the 149 bus in Stoke Newington yesterday afternoon. An alarm blares loudly in the background as the two grapple over the weapon. When the passenger manages to rip the knife from the clutches of the alleged assailant, he sprints out of the bus's back doors and down the pavement towards a BP petrol station. A shocked woman can be seen stepping off the bus and pointing at the passenger as she cries that he has been cut. The camera then pans to the man who is now holding what appears to be a kitchen knife, and has blood coming out of several gashes on his wrist and hand. As he watches the alleged knifeman run away, he shouts: "I'm an African, you'll never take my life." 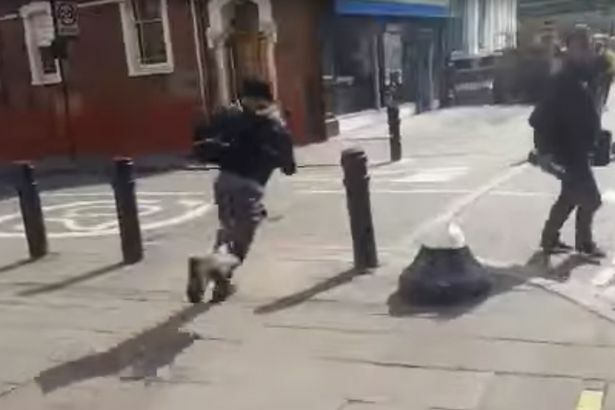 A Met Police spokesman said: “Police were called to Stoke Newington Road junction with Foulden Road, N16, at 13:55hrs on Tuesday, 11 April, to reports of a stabbing which had occurred on a bus. “Officers and London Ambulance Service attended and found a man in his 20s with minor lacerations to his hand and head. “He was taken to an East London hospital where he was treated for his injuries. He has now been discharged. “The incident took place on the route 149 bus.